The eight-week program welcomed 288 boys and girls from underserved communities in L.A.
Kobe Bryant may be retired from the NBA, but the Black Mamba has found time to keep the sport in the forefront of his life. He has partnered with Nike and the Los Angeles Boys & Girls Club to create a new basketball league for kids. 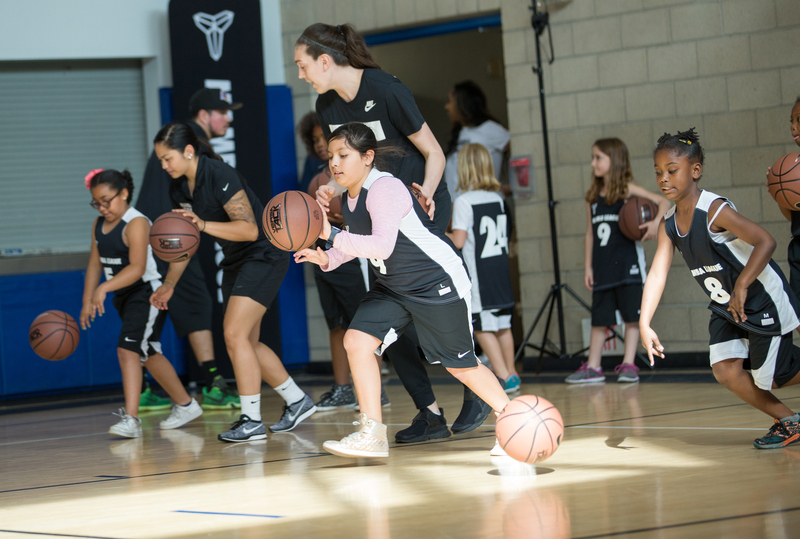 The Mamba League was launched to teach kids ages 8-10 core basketball techniques and the importance of teamwork while building relationships and showing young athletes how the game connects to everyday life. From February to April, 40 volunteer coaches from the Nike Community Ambassador Program and the Boys & Girls Club mentored, taught and trained 288 players from four underserved communities in Los Angeles County — Nickerson Gardens in Watts, Whittier, West San Gabriel Valley/Monterey Park and Venice — for eight weeks. Bryant wanted to take the Mamba League in a direction slightly different from most youth programs. Basketball rims were lowered to 9 feet, a foot shorter than a regulation hoop, in order to give players room to develop their skills. Coaches were briefed on how to communicate different drills and techniques to players of all skill levels. Another unique factor of the league was its female turnout, which can sometimes be modest in male-dominated basketball programs. Female coaches were brought in to train the girls, who made up around 45 percent of the league’s rosters. Although the league was formed to help players learn the mechanics of the game, Bryant hopes the lessons learned during the eight weeks will be valuable in their everyday lives. Plans are to expand to more sites next year.